250 million children are not learning to read and write, despite years of attending school. Yet 95% of the population is covered by cellular networks and 5 of 6 billion mobile phone subscribers live in the developing world. 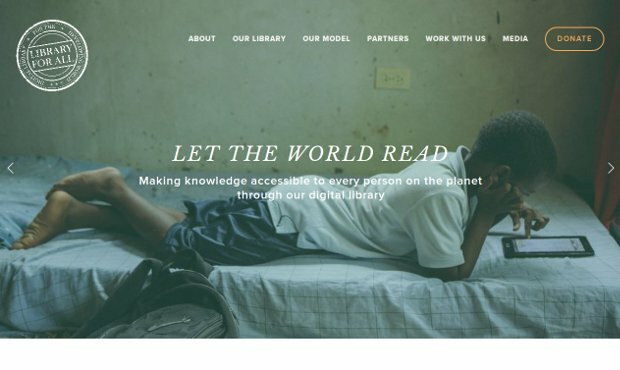 As a response to this realities, Library For All is a nonprofit with a mission to make knowledge accessible to every person on the planet; it aims to increase access to books and unlock knowledge in impoverished communities by building a platform to deliver ebooks across mobile phone networks. To achieve this mission, they have built a cloud-based library platform – our “Library” – filled with locally relevant e-books curated for different regions in the developing world. Their Library is far more cost-effective and sustainable than building physical libraries. It provides access to educational content in local and international languages, culturally relevant and easily searchable.